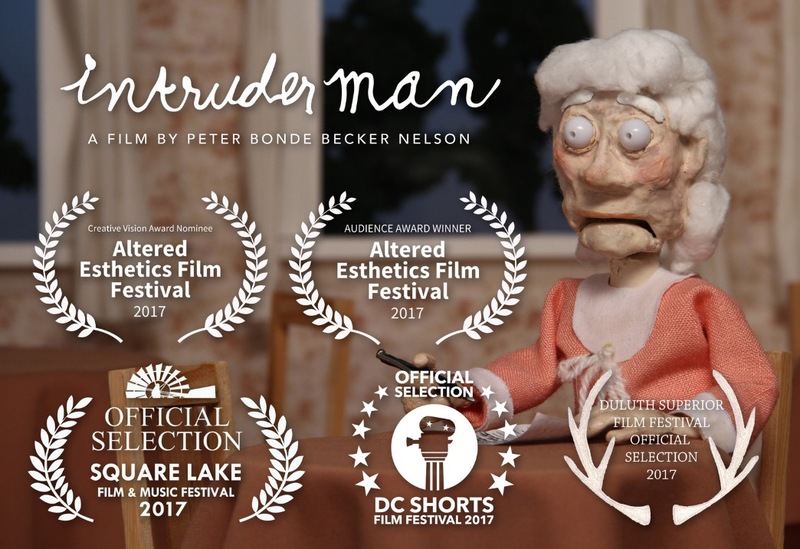 Intruder Man is the story of a woman at two distinct stages in her life. As a young home economics teacher, Jessie faces the wrath of an authoritarian superintendent who blacklists her from teaching. As an elderly woman, Alzheimer’s disease makes Jessie paranoid of an “intruder man” who haunts her apartment. Slipping back and forth between these parallel periods, Jessie maintains strength and persistence in the face of sexism, loss, and dementia. This story is inspired by the life of my grandmother Jessie. The worksheet with handwritten text is an actual document from her personal files. Peter Bonde Becker Nelson (b. 1981) grew up in Annandale, Minnesota. He earned a BA in Studio Art from St. Olaf College in 2004 and an MFA in Interdisciplinary Visual Arts at the University of Washington in 2010. Peter now teaches New Media in the Department of Art & Art History at St. Olaf College. This film really hit home, as I just placed my mom in a memory care home. I will call her every day!